An interview with the DJ, composer and Creative Director of the BBC Radiophonic Workshop Matthew Herbert is always interesting to read. He may question the role of factory settings in a sampler, describe the musical potential of a pencil, criticise the volume and redundancy of music on iTunes or define the bpm of his plumbing. He has also formulated some of these attitudes into a loosely prescriptive “Personal Contract for the Composition of Music (Incorporating the Manifesto of Mistakes),” found on his website and in his concert programs. Alongside these technological and musical pronouncements are ideas about the political or ethical engagement of his music. 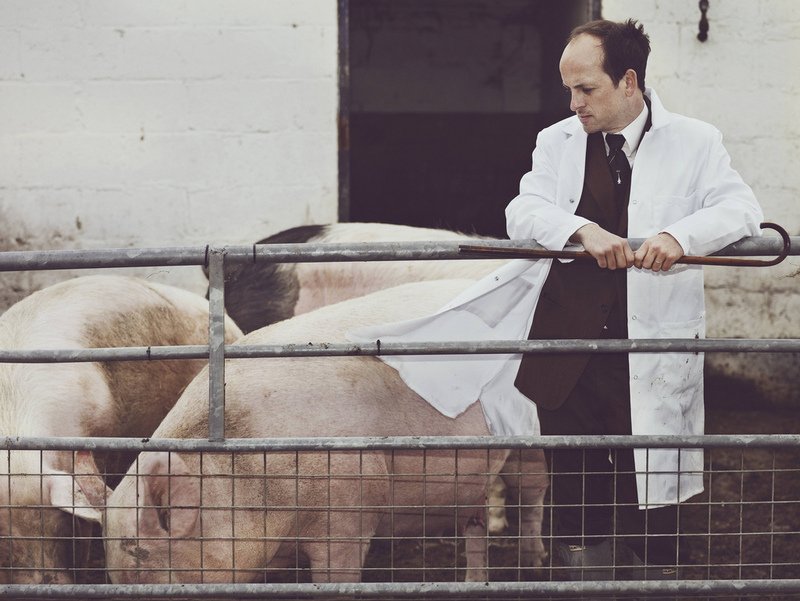 The album One Pig (to be performed live at the Metropolis New Music Festival on 13 April) is sampled from the 20-week life cycle of a pig destined for the table. The soon-to-be-released End of Silence (Metropolis, 12 April) is based on a recording from the war in Libya in 2011. What is the relationship of these two bodies of statements and how do they come together in his musical works? In Herbert’s albums, music and ethics function like the two independent hemispheres of the brain, with the technology of the sampler acting as the corpus callosum making them appear as one walking, talking, contradictory being. However, one rarely experiences horror when listening to Herbert’s music. One feels uneasy listening to a drum made from a pig you just heard being born. However, this unease requires the knowledge of what you are listening to in order to be effective. Divorced from its context Herbert’s music is eminently listenable. Instead of bringing horror to our speakers, Herbert’s music is gently thought-provoking propaganda. You might say that the musical side of Herbert’s work does not follow the full consequences of its ethical side. Then again, would you want it to? Would we like another Survivor from Warsaw (or in this case, A Survivor from Woolworths, or A Survivor from Ras Lanuf) where music strives to be the equal of its subject?